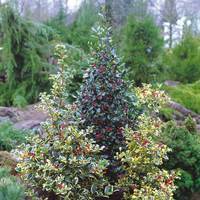 Holly Blue Angel is a classic winter wonder with shiny evergreen, blue tinged foliage. This standard shrub is self-fertile, producing masses of red berries in winter. When birds can't find anything else to eat they will flock to the holly bush. 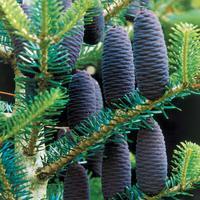 Why not plant one of these evergreen beauties as a specimen tree in the border? You could also plant them in a large container for a more formal patio display. 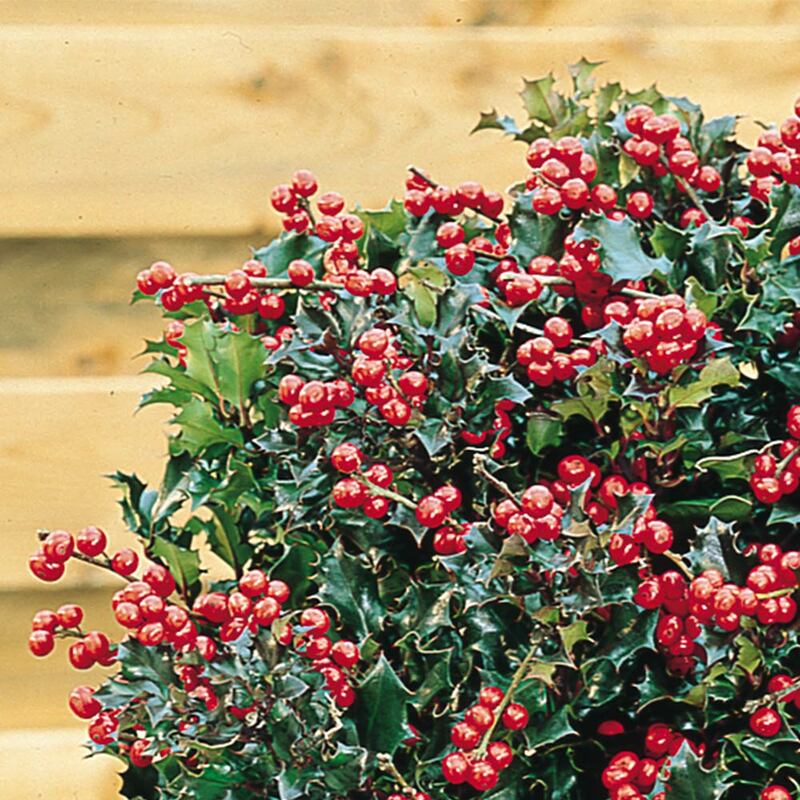 Stems of holly are ideal for winter floral arrangements, and look particularly dazzling when painted silver or white. Holly will work in virtually any situation as long as there is adequate sunlight. Supplied with a 35-40cm stem and bushy head. Can be planted in most garden soils, as long as it is relatively well drained. 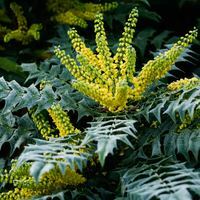 Are suitable for planting in either full sun or partial shade. Apply some peat when planting. 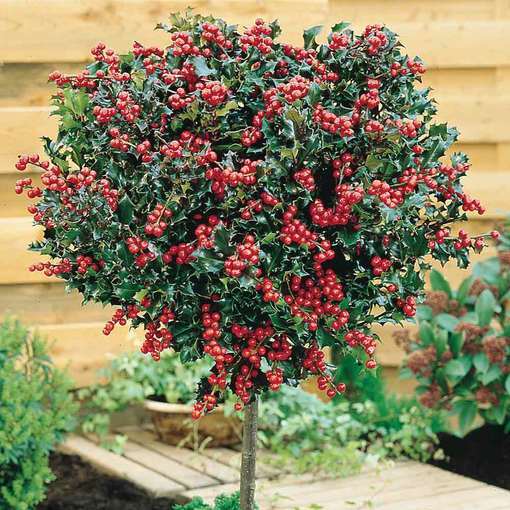 Unlike Holly bushes, which can grow to an enormous size, these are on 35-40cm stems with a bushy head which cannot become rampant. Ideal for patios, borders and are great by a pond. 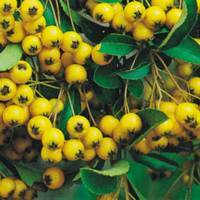 They are self-fertile, p roducing masses of berries in winter.